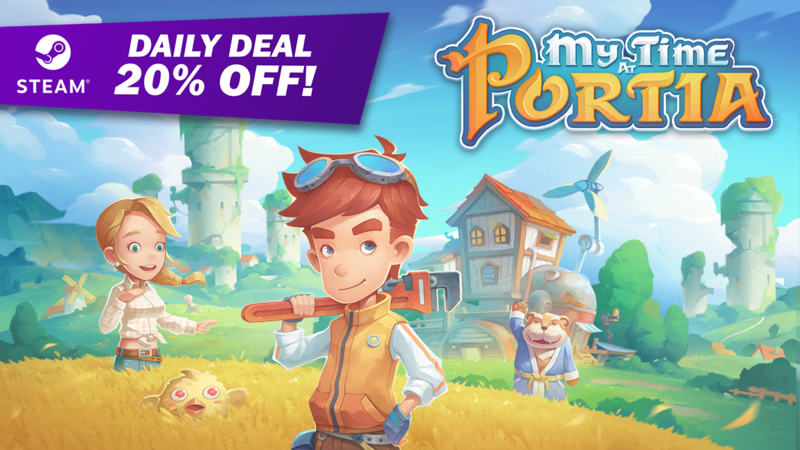 We’re super excited to announce that today’s Steam Daily Deal is My Time At Portia! Welcome to Portia, where you’ll inherit a workshop and start a new life as a novice builder, helping to rebuild this post-apocalyptic town. You can farm, mine, craft, cook, fish, fight and fall in love! Want to know more? Check out our news page, or head over to the Steam Discussions forums to see what other players have to say.